From the iconic The Three Tenors to The Three Mo Tenors of the 1990s which featured three Black tenors we fast forward to October 2014, where LA Opera presents an historic first! 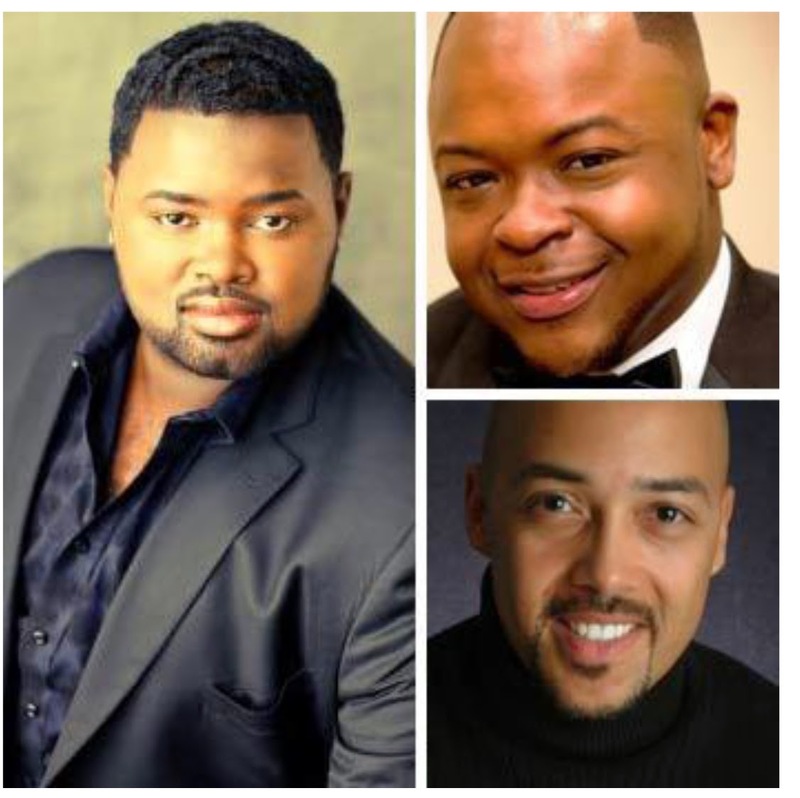 Meet John Holiday, Darryl Taylor and G Thomas Allen, three gifted Black Countertenors who make their LA Opera debuts in its upcoming production of Dido & Aeneas by Henry Purcell. The presentation of these three men in Dido & Aeneas is a groundbreaking historic first. Never before on an American opera or international opera stage have three Black Countertenors performed in one production together. Operalia winner, John Holiday, who made his Wolf Trap debut this summer in Handel's Giulio Cesare, and is one of the most exciting countertenors on the world opera stage today, sings the role of the Sorceress who along with her witches plots to destroy Dido & Aeneas' love. The Countertenors are rounded out by Darryl Taylor and G Thomas Allen. An Alexander International Vocal Competition winner, Mr. Taylor received critical acclaim for his rich portrayal of the title role of Akhnaten in Phillip Glass' opera at Long Beach Opera and has commissioned and performed works written expressly for the countertenor voice. Mr. Allen, who also debuted at Wolf Trap this summer, was heard in Francis Poulenc's rarely performed surrealist opera comedy, The Breasts of Tiresias. From Barrie Kosky, the brilliantly innovative director of last season's highly successful run of Mozart's Magic Flute, Dido & Aeneas opens on October 25th in a special double bill with 20th Century master, Bela Bartok's Bluebeard's Castle. Great singing, a great evening....and history in the making awaits you. Dido & Aeneas and Bluebeard's Castle October 25-November 15th, 2014.